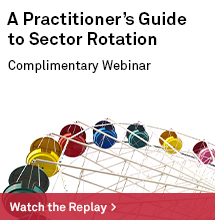 Falling business inventory ratios have often been a positive economic indicator. 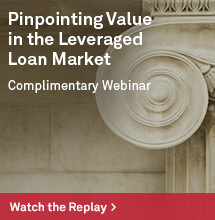 With business inventory levels on the decline, value and momentum strategies could be poised to outperform. 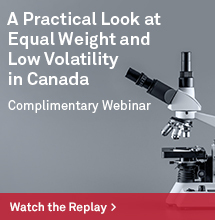 A strategy that combines value and momentum could serve as a useful way to position portfolios for economic expansion. One benefit of factor investing lies in the cyclical nature of factors. 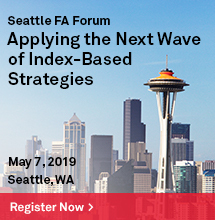 Because various factors tend to perform differently depending on economic conditions, investors can harness these attributes to their advantage. For example, value and momentum stocks have often been better-suited for periods of expansion. This is because value strategies tend to invest in cyclical stocks that may benefit from faster economic growth, while momentum strategies operate under the premise that stocks with strong recent performance may continue to outperform over the near term. It’s my view that the current inventory cycle provides a favorable backdrop for equity prices and makes a compelling case for both value and momentum strategies. 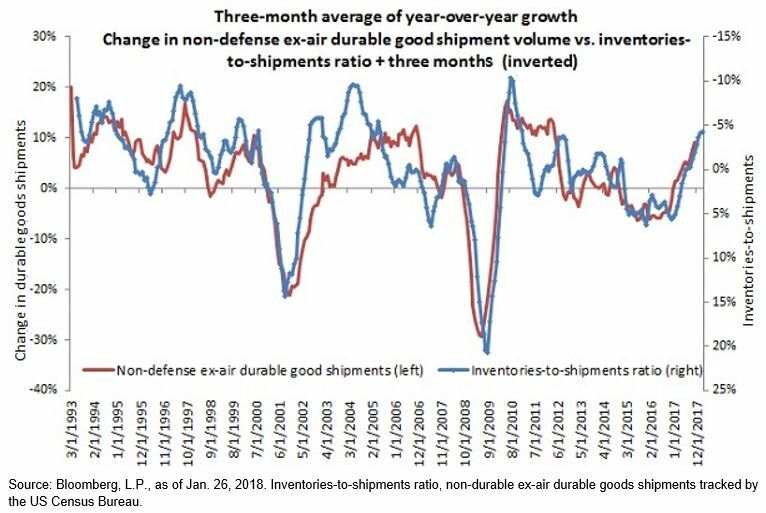 In recent weeks, the year-over-year growth rates for two inventory-focused ratios have declined — the inventories-to-sales ratio and the durable goods inventories-to-shipments ratio. In my view, these declining ratios could point to an economic backdrop that supports profit growth. Historically, a declining growth rate in the inventories-to-sales ratio has coincided with increased economic output, as we see in the chart below. Declining inventories relative to sales indicate that demand is outstripping supply — signaling companies to boost production. The opposite is also true. Rising inventories relative to sales can be interpreted as a sign that demand is weak — potentially signaling the need for companies to reduce production. The chart below illustrates this relationship. I’ve inverted the inventory curve to highlight the close relationship between the two metrics, so what you’re seeing is an inverse relationship between growth in the inventories-to-shipments ratio (blue) and economic output (red), as defined by non-defense durable good shipments, excluding aircraft. The following chart shows a similar inverse relationship between growth in the inventory-to-sales ratio and economic output, as defined by industrial production. Here, I’ve also inverted the inventory-to-sales curve to highlight the relationship between the two metrics. 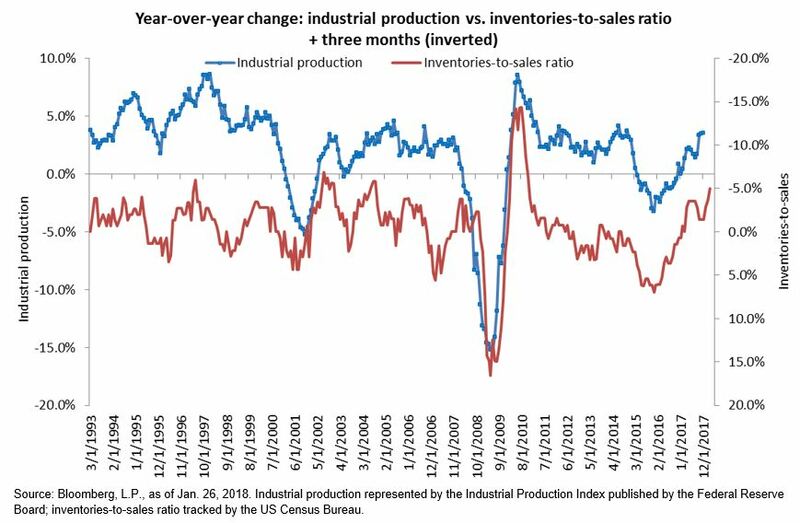 The takeaway from both graphs is that inventory levels and industrial production are closely tied. Thus, factors that perform well during periods of economic expansion could potentially outperform when inventories are falling. Value or momentum? Why not both? Despite recent signs of trade tensions with China and uncertainty over NAFTA negotiations, a potential elongation in the economic cycle could provide reason for economic growth. And a strategy that combines both momentum and value may provide a compelling means of positioning portfolios for these conditions.